Redwood tree house, 19th-century artwork. This is the General Noble Redwood Tree House, on the National Mall, in Washington DC, USA. California from the trunk of a 2000-year-old giant sequoia tree (Sequoiadendron giganteum). 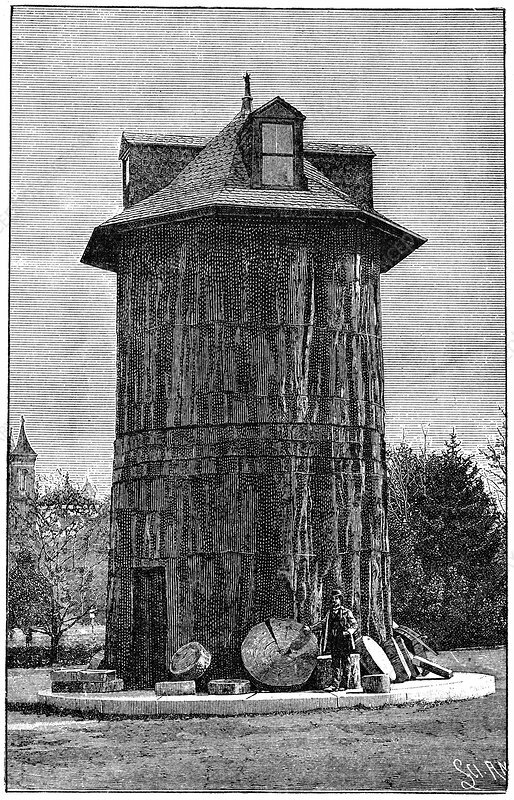 The tree house was first erected at the 1893 World's Columbian Exposition in Chicago. The roof and windows were added when it was moved here in 1894. It was placed in storage in 1932 and is thought to have been disposed of in 1940. Artwork from the 17th volume (first period of 1896) of the French popular science weekly 'La Science Illustree'.